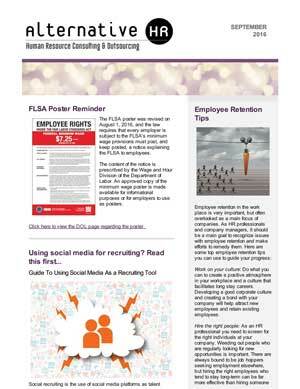 Once a month we share important updates and timely reminders in the world of HR and employment law. 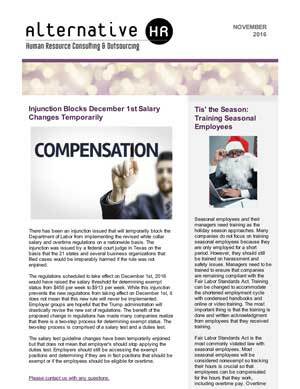 These might include required poster updates, new forms, legislation being considered, and/ or best practices to save you time or money. Sign up today so you do not miss an important reminder! 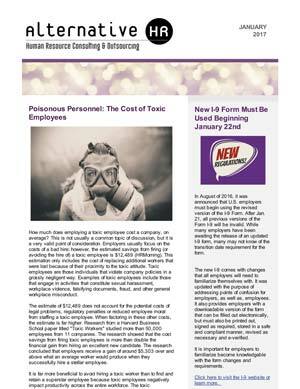 Click on an image below to view that newsletter. If you would like to view a prior issue not shown below, please send us a message. Subscribe for our monthly newsletter and important updates! 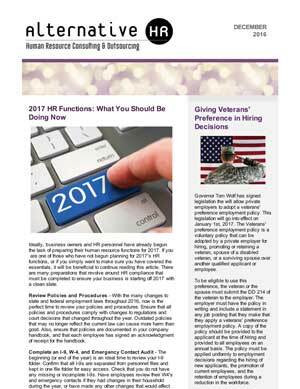 Join our mailing list to receive the latest HR news and updates from Alternative HR.